"This March 29th, love will happen with the one you have never met," is how Salman Khan shared the released the trailer of Notebook. Notebook has been directed by Nitin Kakkar and has been produced under Salman Khan's production house Salman Khan Films. Of their first film, Zaheer Iqbal earlier told news agency IANS, "It's a romantic love story and it is based in Kashmir. 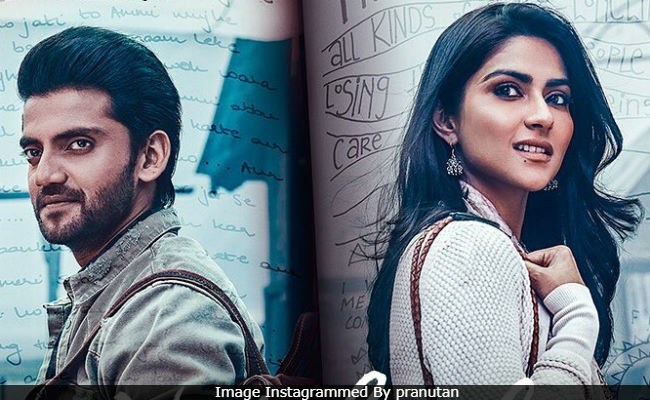 It's a very beautiful, happy and colourful love story" while Pranutan said, "I think it is a very unique love story and I can't wait for the audience to see it." Pranutan is the daughter of actors Mohnish Bahl and Aarti Bahl. Salman and Mohnish Bahl have famously co-starred in films like Maine Pyaar Kiya, Hum Aapke Hain Koun..! and Hum Saath-Saath Hain. Zaheer is Salman's friend Iqbal's son.